The university supports students' well-being, and this page provides important information about health and wellness from the U-M International Center and University Health Service. University Health Service (UHS) can provide most of your health care while you are at the university. Students pay a health service fee (included as part of tuition) which covers many services. For who and what is covered, see Free or Fees for Students. You may arrange for a physical exam with your home health care provider (recommended by not required). At that visit, you can update immunizations e.g. meningitis, HPV, flu and more. Immunizations are recommended to protect your health and the health of others, but they are not required by the university or the US government. We encourage you to come to college fully immunized. See recommendations at Immunization Records and in particular, note that meningitis is a serious and potentially fatal illness that immunization can help prevent. If you are unsure of your immunization status, please check with your health care provider before coming to campus. You can also get immunizations at UHS for a fee, which may be covered by your health insurance. Be sure you know your health history, including current medications and any allergies to medications, foods, etc. If you will receive GradCare health insurance because you will be a Graduate Student Instructor or Graduate Student Research Assistant, or will receive a University fellowship, please be sure to read Insurance Provided as a U-M Benefit. All students should have health insurance because you may need services, such as medications and treatment for serious illness, that are not covered by the health service fee, or are unavailable at UHS. Medical care for serious illnesses can be expensive, and since the US does not have a national health care system, health care costs are not paid by the US government. If you do not have health insurance that will cover health care costs in the US, consider purchasing the U-M Domestic Student Health Insurance Plan. If you take prescription medications or use a medical device, be sure to read guidelines on Traveling with Medication from the US Customs and Border Protection website. Please arrange for prescription renewals and/or a supply of medications to bring to school. Keep all medications in original containers. When you need more medication, UHS can look up your medication in an international database to determine the closest product available in the US. You can contact the UHS Pharmacy (734-764-7387) regarding transferring prescriptions from within the US, if desired. If you take medications for Attention Deficit/Hyperactivity Disorder (ADHD), learn how to get prescriptions at UHS on the ADHD webpage. If you wear glasses or contact lenses, bring a copy of your current prescription, in case replacement is needed. You can get eye exams, contact lenses and glasses on campus at the UHS Eye Care Clinic and Optical Shop. U-M offers a wide variety of Well-being Services, which are now searchable on the well-being site on Canvas.  If you would like help learning about campus resources for well-being, please contact Wolverine Wellness at UHS, phone 734-763-1320 or email ContactUHS@umich.edu. Collegiate Recovery Program provides a supportive community where students in recovery can achieve academic success while enjoying a genuine college experience, free from alcohol and other drugs. If you are a student in recovery or are curious about recovery, please contact the program. Students with disabilities who need academic accommodations are encouraged to contact the Services for Students with Disabilities Office (734-763-3000). Students wishing to receive services must register with this office. Disabilities include chronic health or mental health conditions, learning disorders, and visual, hearing and mobility impairments. U-M is a smoke-free campus, and students, faculty and staff can get support for quitting Learn more at Smoke-Free University Initative. We recommend that you bring a Health Care Kit with you to campus, or purchase supplies when you arrive.